Lineup administrators may inadvertently bias an eyewitness’ identification; as such, the blind-lineup administration is recommended to combat this bias. 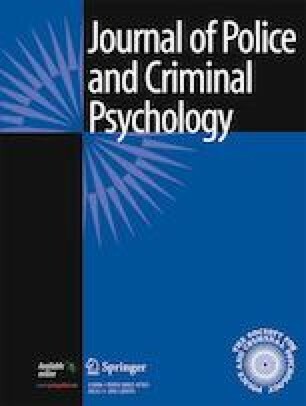 Three studies examined eyewitness identification accuracy when the lineup is presented on a computer versus in-person to determine whether computer-administrated lineups could replace in-person lineups to ensure blind administration. Study 1 (N = 378) varied whether the administration was on a computer versus in-person across the simultaneous, elimination, and wildcard procedures. Overall, participants were more accurate when presented with the online administration; moreover, participants were more accurate in target-absent lineups when presented with a simultaneous or elimination procedure compared to the wildcard procedure. Study 2 (N = 367) was similar to study 1 but used different stimuli and included the simultaneous, elimination, and elimination-plus procedures. Identification accuracy was comparable for online and in-person administration. Study 3 (N = 219) sought to examine why online administration was superior in study 1 by varying whether the researcher was present only during the identification task. When the researcher was present, participants were more likely to make a foil identification in the simultaneous procedure compared to the elimination procedure. The results of these three studies suggest that computer-administrated lineups may be a feasible solution to ensure blind administration.